Dame Sarah Storey has officially confirmed her intention to attempt to set a new women’s Hour Record in February 2015. 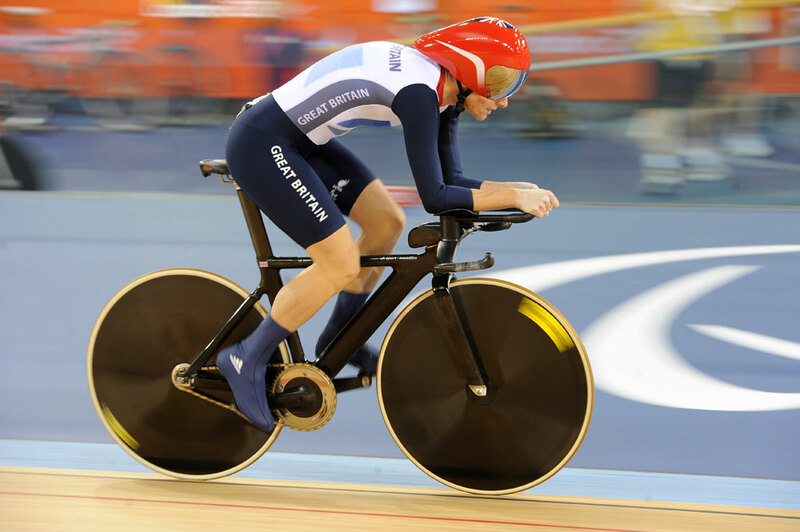 Multi-Paralympic champion Storey will make her attempt during the afternoon at the Revolution Series meeting on February 28 at Lee Valley Velopark, London. It’s the venue where Storey won Britain’s first gold medal of the 2012 Paralympic Games, and the first of her four golds at the Games in total. Storey will attempt to better the existing mark of 46.065 kilometres set in 2003 by Dutch rider Leontien Zijlaard-van Moorsel. “I’m excited and nervous at the prospect of being the first women to take on the record in over a decade,” said Storey. The Hour Record has enjoyed something on a renaissance since the Union Cycliste Internationale (UCI) changed the rules. The men’s record was broken by Jens Voigt in September and then broken again by Matthias Brändle in October. Alex Dowsett (Movistar) is expected to also attempt to take on the men’s Hour Record in early 2015, possibly at the same event as Storey. Further information and tickets for the Revolution Series event in London, including the Hour Record attempt, are available from the Revolution website.